After seven months and three postponements, the much talked about PLDT-Digitel deal, which first broke out on Investor Juan, finally gets the approval of the National Telecommunications Commission. 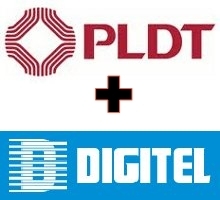 The deal provides the PLDT-Digitel union with a dominant 70% share of the market and leaves Globe at farther second, eliciting criticisms from various sectors who fear that the industry might revert to a monopoly. That PLDT-Digitel offer Sun Cellular's unlimited text and call services permanently. That PLDT and Digitel "continue providing high quality service to their respective subscribers." That PLDT divest 10 megahertz of 3G frequencies held by Smart. Said frequencies will be auctioned off and PLDT will not be allowed to bid. All three parties involved--PLDT, Digitel, and Globe--have reportedly expressed their acceptance of the conditions laid out by the NTC. If we take a closer look at these conditions, it seems that the only one that matters to Globe would be the last one, that the most important (or perhaps, only) reason why it tried to block the deal was that it wanted those valuable 3G frequencies as a form of concession. I mean, who is the NTC kidding? The first two conditions are clearly inutile. First, I don't think NTC is in any position to dictate what any player should sell, much less sell permanently. And even if by the slightest chance NTC does have that power, it does not say anywhere that PLDT-Digitel cannot increase the price of these unlimited services. Second, what does "high quality service" even mean? Would Sun Cellular's services pre-merger qualify as being "high quality"? This one has so many holes, a blind man would have trouble not seeing through it. Anyway, perhaps what's important is that everyone seems to have gotten what everyone wanted. That is, everyone except investors and consumers; what happens to them remains to be seen. Would investors finally be able to see their bet from seven months ago pay off with NTC's approval. Maybe. Would the deal really benefit consumers in the long run, as what the major players and some observers argue? We'll see.